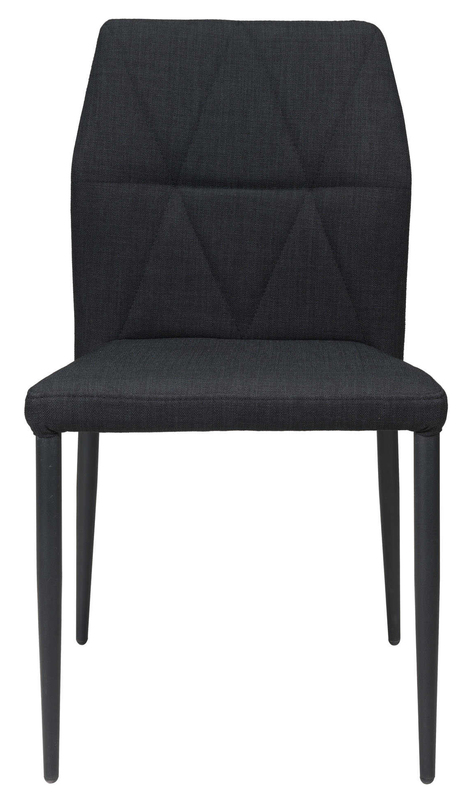 The Revolution Dining Chair offers a mid century and modern look with a geometric designed backrest and tapered legs. 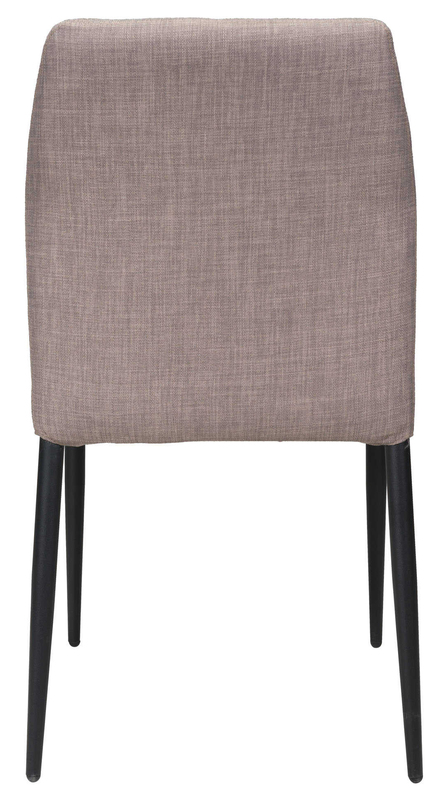 This beautiful and eye-catching dining chair is upholstered with durable soft poly-linen fabric and easy to care. 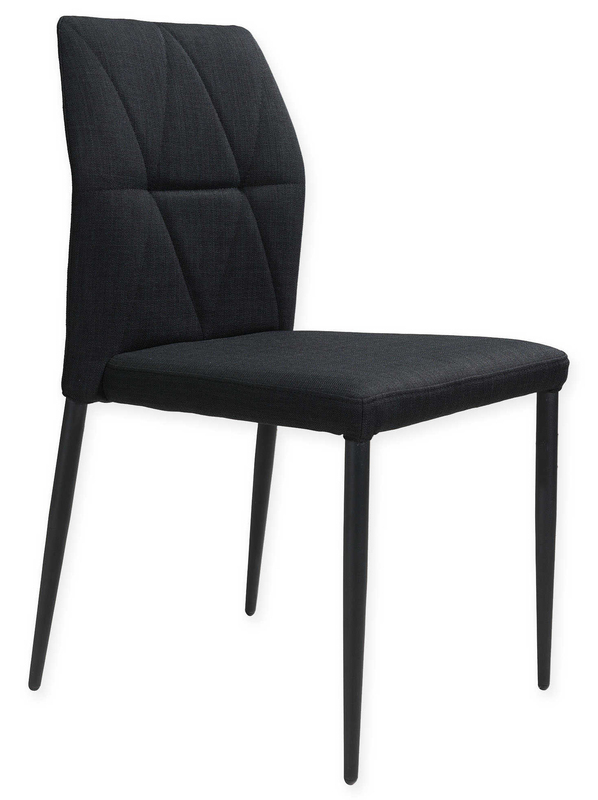 Black steel legs painted black are used to give this chair its classic retro touch. 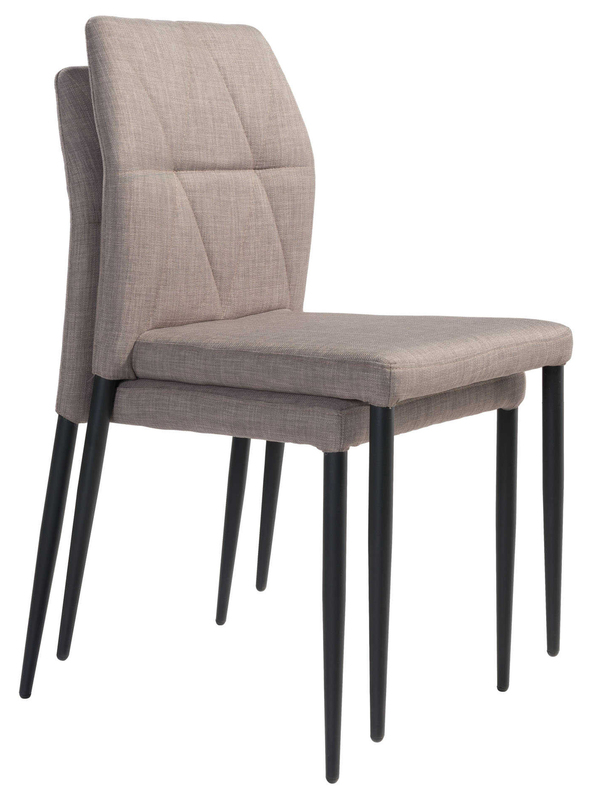 Revolution Dining Chair is sold in sets of 2 and available in black and beige.